I have been working on an existing Spring MVC application with relatively large codebase. It became important to reduce the time taken to redeploy the WAR with code change. There is an easy though multi-step solution for this. This article details these steps. There are also multiple alternatives to this flow, listed at the end of the article. Since we will use maven to deploy to tomcat and we are not going to hardcode the username-password in our pom.xml, let us create a server tag in maven/conf/settings.xml file (do ensure IDE is using same maven settings xml). Ensure same username, password as above. Change id value to you liking. 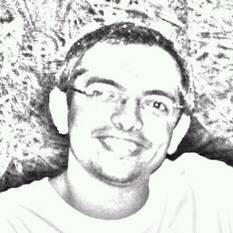 Add tomcat maven plugin to your application’s pom.xml. This will allow us to trigger manager url (localhost:8080/manager) to deploy our war. Update context path (/salesmanager) based on your application, and server id defined in maven’s setting.xml. context path is typically same as name of your WAR. A common mistake is to forget the ‘text’ string after the url, or use html instead. Be careful. For good measure add shortcut to this tomcat task to avoid opening Maven task window, finding and clicking the same task repeatedly. You might face FileSizeLimitExceeded exception while deploying the application. This is because WAR size is greated than acceptable limit. There are 2 reasons this might happen either http post doesn’t allow it or manager web-app is refusing. Update/Validate file size limit in tomcat/webapps/manager/WEB-INF/web.xml. Note this step is only if you are using html manager interface (http://localhost:8080/manager/text), while we are using text interface (http://localhost:8080/manager/text). This issue occurs when the JDK version the class is compiled with is different than the compatible Spring and Tomcat versions. Spring Boot v1.3 supports Auto-reload and live-server which is better than having to manually trigger the deploys. JRebel is a tool which supports hot-swap of classes and other resources. It supports multitude of frameworks like Spring, Hibernate etc and in the long run can save a lot of time avoiding application restarts. Personally I feel its way too expensive ($475 per user per year) even though it is useful. Alternative to this is DCEVM, but its no longer being actively developed and it does not have support for various frameworks and libraries. IDEs support hotswap of files and combined with Tomcat’s ability to watch and reload updated files, it provides good alternative to buying JRebel. Go through Intellij Idea setup and Eclipse setup. This alternative though works only for changes within a method and is not extensive as JRebel. Nonetheless very useful. That’s that. Enjoy the redeploys and comment below if you need help with any of the steps. 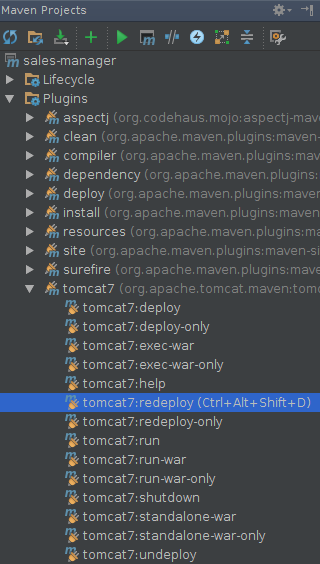 Redeploy WAR to Tomcat using Maven was published on January 31, 2016 .